At night I come home after they go to sleep. Like a stumbling ghost, I haunt these halls. Formed in Las Vegas in 2002, The Killers is a band that belongs to the lineage of high-energy rock bands that manage to be both commercially successful and critically acclaimed, and it's almost mind-blowing to consider that without the classifieds section of a local paper, they might have never been. Brandon Flowers (lead vocals, keyboards) first met guitarist Dave Keuning while perusing said classifieds for fellow musicians; when Dave's ad mentioned The Beatles, Oasis and more, Flowers knew he was on the right track. They claimed the name The Killers (taken from the bass drum of a fictional band in a New Order video), and eventually recruited Mark Stoermer (bass, backing vocals) and Ronnie Vannucci (drums, percussion) into the fold, all of them agreeing that there seemed to be an intangible something to the music they were making, as well as the response they were generating from people who saw them play. And as these performances became bigger and bigger, and praise for the band began to spread rapidly, A&R men came from the UK and the US to see them, eventually leading them to sign with Island Records in America. Their debut, Hot Fuss, catapulted them onto the global stage upon its 2004 release, selling millions of copies around the world. 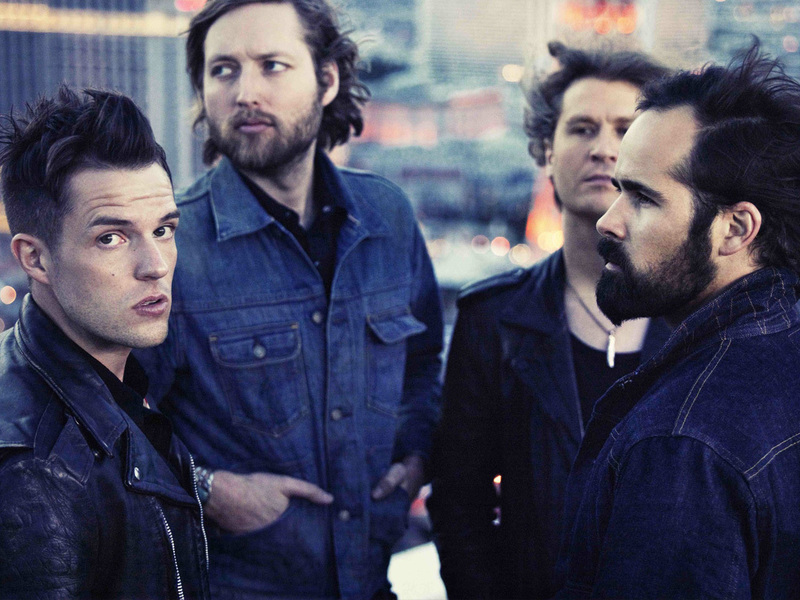 The band toured for two years straight behind Hot Fuss, playing more than four-hundred shows, and eventually returned to Vegas to begin to work on the follow-up album with legendary producers Alan Moulder and Flood. The result, a love letter of sorts to their hometown entitled Sam's Town, was released in 2006 and spent forty-two weeks on the Billboard Top 200. 2008’s Day & Age became the band's third studio album to reach number one in both the UK and Ireland, and it reached number six on the Billboard 200 album chart. It has also been certified 4x Platinum by the BPI. After being on the road for over six years, in January 2010 the band announced that they would take a short break. They returned to the stage in April of 2011, headlining the new International Lollapalooza Festival in Santiago, Chile. September 2012 saw the release of the band’s fourth studio album, Battle Born, which was their fourth consecutive number one release in the UK and Ireland, and it debuted at number 3 in the US charts. While the attention has, at times, made it difficult for them to keep their composure, this time out the band is trying to remain more level-headed. "We got thrown up to the position very quickly that we're in now --the test is to retain it," says Flowers. "I want us to be a positive force. People think that we're over-confident and cocky, but it comes from excitement. It's not 'I'm better than you,' it's that I can't wait till you hear this song because I know what it does to me physically. I'm able to listen to our songs and not think 'this is us playing,' I'm able to allow the music to affect me and I know if it's good or not. Sometimes people think I'm running my mouth, when I'm truly excited."